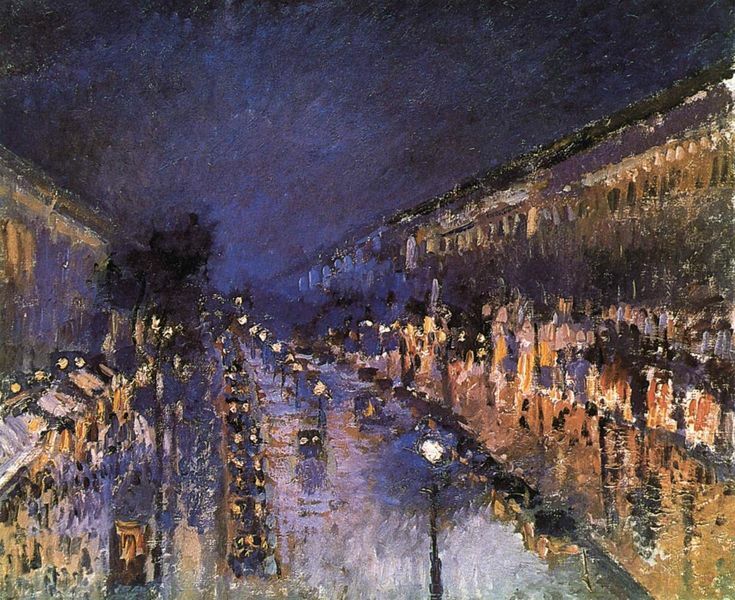 It is strange that most of Camille Pissarro’s artwork I don’t care for. Landscapes, people working in fields, there all very nice but don’t have as much interest as Boulivorde Martmontre Avenue at Night, 1897. This piece draws me into all the different brush strokes, nothing clearly defined yet perfectly understand. I can feel the excitement of people bustling around on a brisk night. His use of reflections is the icing on the cake. Thank you for coming by to see on my favorite Impressionist/Post Impressionist artist Camille Pissarro. Stunning artwork, one of the memorable ones. I don’t like most of Picasso’s work. There are plenty that pay the amount for his art.